Some people get excited about the red carpet. I get excited about the flower carpet. 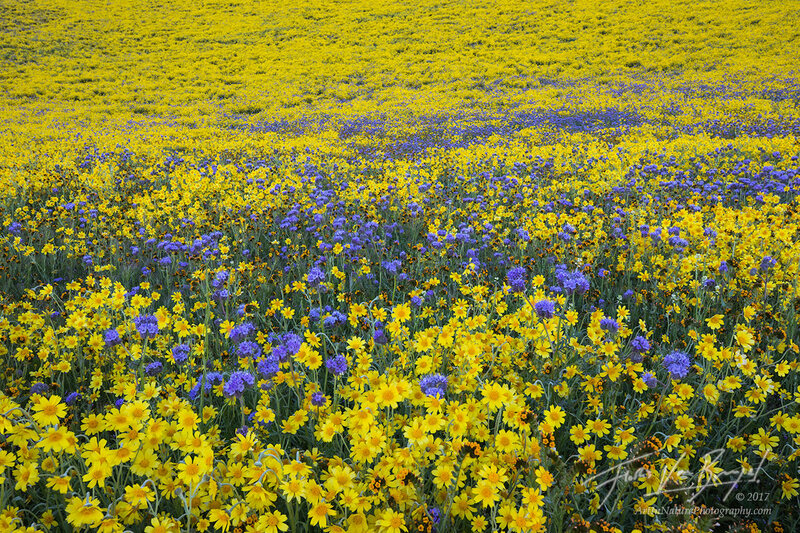 Phacelia (purple) and hillside daisy (yellow) shown here, in the Temblor Range of the Carrizo Plains National Monument.